The SUPER SUNFISH is a version of the standard SUNFISH offered with an unstayed cat rig. 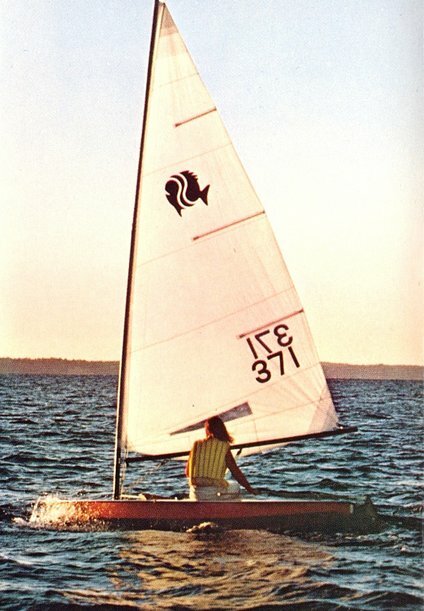 A kit was also available to use on an existing SUNFISH. The idea had developed a few years earlier using a slightly more complex rig (FORMULA S). AMF adopted this, their own version, which was availble for 10 years beginning in 1974. The smaller MINIFISH was available with a similar option.